The term “power surge” is a frightening one for anybody who uses electrical appliances, whether at home or at work. It carried a particularly intimidating meaning for computers, since a surge can mean a fried machine and lost data. Power surges are also potential safety hazards that can cause electrical items to catch fire. Let’s take a closer look at what constitutes this threat. In Hartford, CT, Electrical Connection has a long history of helping people deal with power surges and other potential electrical troubles. A power surge is any sudden increase in the power along electrical lines. The most common reason for this abrupt increase is the operation of a high-powered electrical device. In households, refrigerators and air conditioners are the likely culprits for causing the burst of electrical power that can threaten to blow circuit breakers or damage equipment. Both appliances require a large amount of power to start their cooling cycle: if you notice a brief dimming in the lights in your house each time the compressor in your AC starts to hum, then that’s an indicator of how much power it requires to run. This sudden demand for power can have the opposite effect of draining electricity from other appliances: the abrupt rebalancing instead can cause a power surge. This may not immediately shut down or damage other appliances—but it will do damage over the long term. The danger of the biggest power surge comes from lightning strikes, which can overcome most surge protectors. During large lightning storms, it’s advisable to unplug computers, televisions, and other items that aren’t immediately necessary and which can sustain internal damage from a surge. Downed power lines (such as during storms) can pose a similar trouble. Another reason for power surges is faulty wiring. This is a more insidious problem than the ones listed above, as it’s harder to detect and stop. Surge protectors will help against a refrigerator or AC that causes some fluctuation that’s rarely strong enough to cause issues, but bad wiring can create repeated surges that will damage equipment and create safety hazards. If you experience repeated power surges in your home and don’t understand why, you should get an electrician to your house as soon as possible. In addition, your small local surge protectors may not be enough—you’ll need a whole-home surge protector installed. This applies to businesses as well: if your commercial property experiences power surges, it can put your company’s data at risk. Don’t wait for the big surge to find out the cause. Bring in electrical experts to locate the fault. 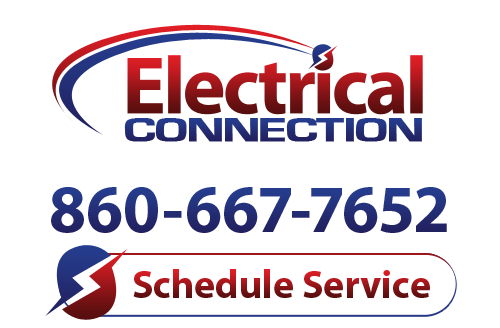 Electrical Connection handles both commercial and residential electrical services: we can fix wiring problems as well as install whole-house and business surge protectors to keep your property and your health from harm. For your Hartford electrical concerns, trust our experience.